An elegant addition to your ceremony, this personalized unity candle set includes the customized center candle, 2 side 6" taper candles and either a gold or silver metal stand. 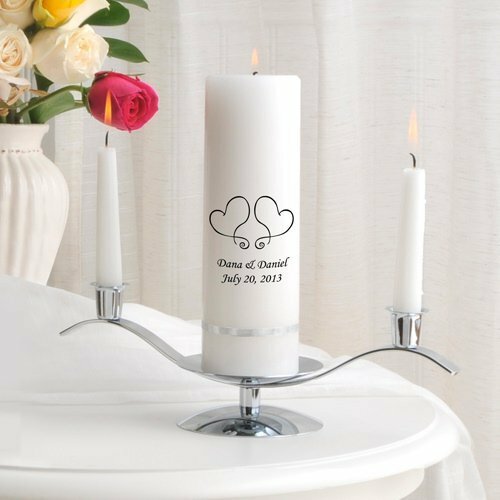 The center candle can be customized with the design of your choice along with your names and ceremony date on either a white or ivory candle (tapers will match center candle). 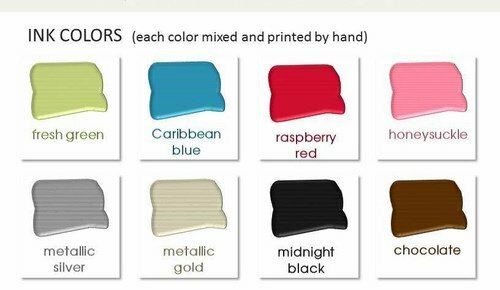 You can choose from a variety of ink colors along with the color of the ribbon band wrapped around your candle. 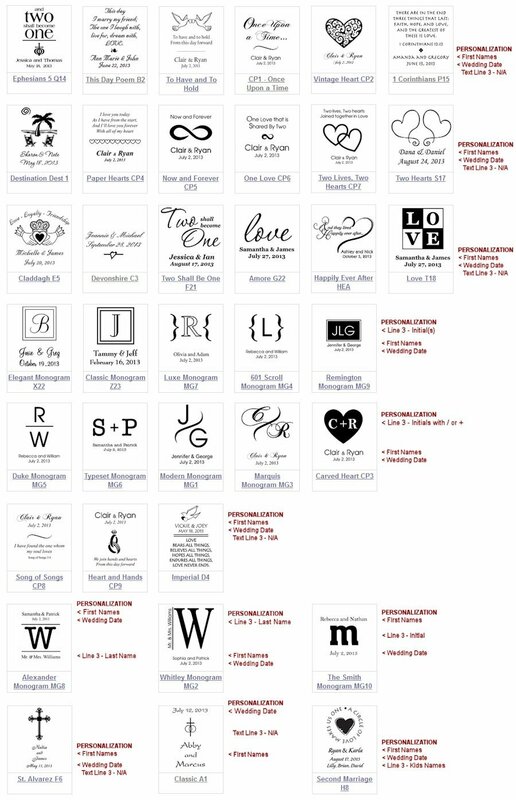 Please note, some of the designs offer a monogram letter and/or 3rd line of text while others do not. Any personalization fields not applicable to your specific design will be ignored during processing. 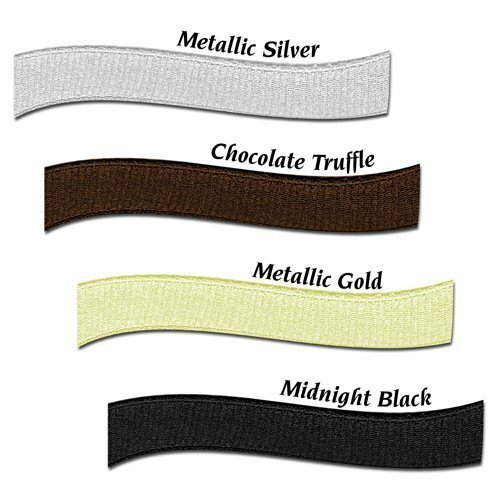 With the Unity Sets are the stands included? Your pictures of your items sometimes are very hard to distinguish. 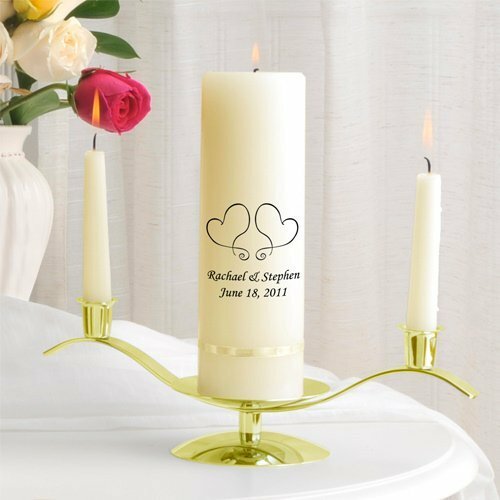 Yes, the Premier Personalized Unity Candle Set (Many Designs) includes either a gold or silver metal stand. 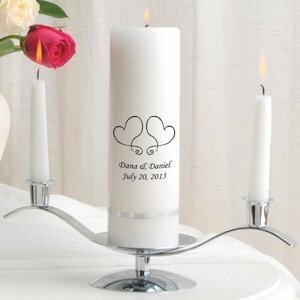 It also includes the customized center candle, 2 side 6" taper candles.